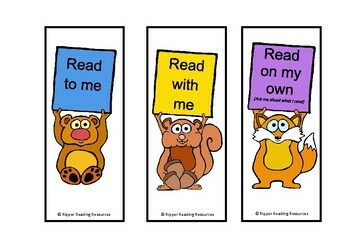 Help parents with the purpose of home reading - slide the appropriate bookmark in with the home reading task so parents know the purpose of the reading task - read with me, read to me, read by myself. 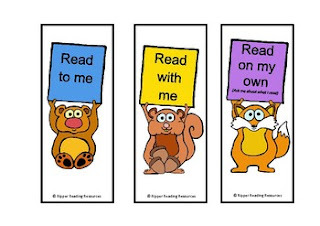 This resource is for personal/classroom use only and is not to be distributed further. Multiple licenses are now available at TpT for half price. No sharing of this product is permitted through internet groups/blogs, offline groups, school district or regional websites/servers, discussion lists, school websites/servers, or personal websites.